Genesis Zero Tolerance in 19:52.65 by Dimon12321. 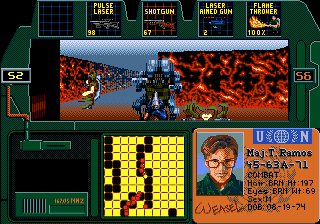 Zero Tolerance is a first-person shooter developed by Technopop and released on the Sega Genesis in 1994. The game features expansive 3D levels and large background graphics, impressive feats on the Genesis' hardware. See Dimon12321 complete this shooter in record time while doing relatively little shooting. The character Tony Ramos was picked for the run because he runs faster and takes less damage than the other characters.